We are delighted to feature this guest post from Graham Currie, Director at ISA Architecture & Design Ltd, reflecting on his career so far. My name’s Graham and I’m a Director at ISA Architecture & Design Ltd in Edinburgh. We’re a 25 strong architecture and interiors practice that works UK wide on a variety of project types including hotels, restaurants and bars, large and small scale residential; we even have a couple of theatre projects on the go at the moment too. It’s an interesting and diverse workload. I graduated from Edinburgh College of Art in 2001, via a spell working abroad in Brisbane, Australia and an Erasmus exchange year in Stockholm, Sweden. I actually started with ISA a year after the practice was set up. There were only 5 of us in the firm at that point, and although I moved to work at Richard Murphy Architects for a while, I returned to ISA when a position as Associate became available. I’ve seen, and hopefully helped, the practice to grow to where we are today, with a much bigger team and a large percentage of our work being carried out in central London. The industry has changed a lot in the 16 years I’ve been working in it, moving more and more towards 3D visualisation and entering in to the worlds of VR and AR. Construction is arguably more complex now too, with more contract types, regulations, hoops to jump through in many cases. The tools and context might have changed, but ultimately the core skills you need are still the same. The ability to communicate ideas to people, visually and verbally, is key. You need to be good at problem solving. Construction is a multi disciplinary process and you need to be able to listen to lots of different points of view, to consider all the different issues at play, and come up with creative solutions. Like many architects, it was a career I’d wanted to get in to from a young age. I was given the standard advice that you need to be ‘good at maths and technical drawing’, but actually, while yes it helps to have some ability in those areas, that advice is way too narrow. 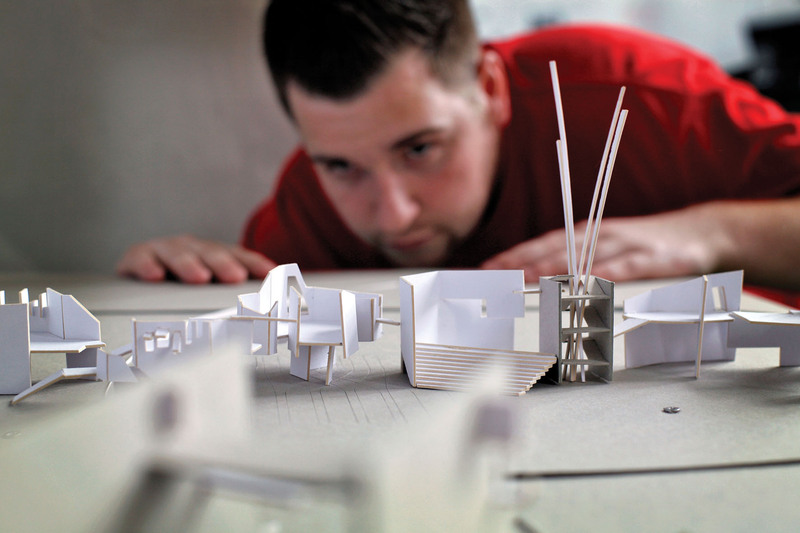 Architecture is a subject that can take you down lots of avenues, and tap in to a wide range of skills and abilities. I’d encourage anyone studying architecture to explore other disciplines and take opportunities to travel, collaborate and network. You never know when those experiences will become useful in the future. Of course, securing a job in the first place can be the biggest challenge of all. Every practice is different but most will receive a lot of CVs on a daily basis, and unsolicited applications can easily find their way in to the bin. I’d suggest researching the practices you apply to, firstly to make sure they are the type of practice you want to work for, and then so that you can tailor your application to them. Think about how you might be useful to them and keep your CV simple and clear. Trying to make some form of personal contact with a practice before you send in a CV can be tricky, but is definitely worth it. Word of mouth is how a lot of practices find new employees, so again communication is key. Speak to tutors and any peers who have found employment and see if they know of practices that have recently won new work, or secured planning application for example, and may be on the look-out for staff. The first few years out of university tend to be an even steeper learning curve than the ones studying, and I’d encourage anyone starting out to listen to what’s happening around the office, even if the discussion isn’t about a project you are working on, and never be afraid to ask questions! That’s absolutely vital and something I still do on a daily basis. Architecture is a constant learning curve, as even once you understand the processes and protocols, every project and client is different, and that’s what keeps things interesting. Photo credit STUDENT RECRUITMENT & ADMISSIONS OFFICE.